Are soil residual herbicides necessary in late-planted soybean: What are your options if soybeans have emerged? Application of a residual herbicide prior to planting or emergence of the crop is an effective and highly recommended weed management strategy and also a key tool in managing herbicide resistance. Soil-applied residual herbicides are especially important to address tall waterhemp. Tall waterhemp has an emergence period of long duration into the summer and some biotypes are resistant to two to three different herbicide sites of action (SOA). Therefore, it is economically wise to include a soil residual herbicide at the time of planting. However, recent rains have delayed some farmers from getting onto newly planted fields in a timely manner. 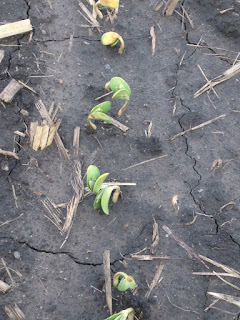 What are some of our options if soybeans emerged before a preemergence herbicide application was made? 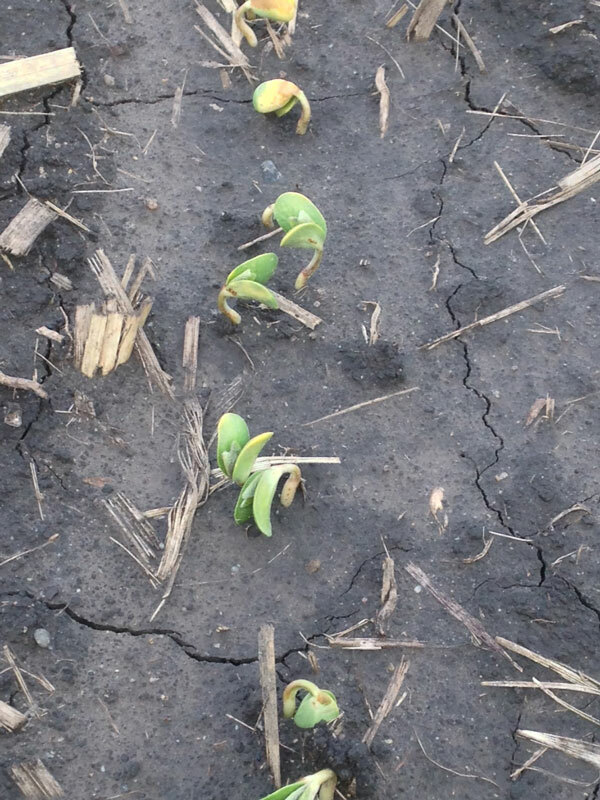 Most soybean preemergence herbicides with a site of action (SOA) of #14 must be applied within 3 days of planting. Note that many companies now list SOA numbers on the front page of the herbicide label. Products with this SOA that must be applied within three days of planting and prior to crop emergence include: Authority products, Fierce, Optill, Optill Pro, Sharpen, Sonic, Surveil, Verdict, Valor, and Zidua Pro. Warnings on the herbicide labels vary slightly, but essentially you can expect severe crop injury if these products are applied after soybeans have begun to crack or emerge. Exceptions of products with this SOA are Anthem Maxx and products which contain fomesafen such as Prefix, Statement, Warrant Ultra and others. These products can be applied from cracking through the 3rd trifoliolate stage of soybean with activity on some emerged (< 2 inch) broadleaf weed species and activity on later-emerging weeds. Products containing the active ingredient fomesafen such as Prefix, Statement, and Warrant Ultra can only be applied East of I-29 and South of I-94. Herbicides with a SOA# 15 such as Dual II Magnum, Outlook, Warrant and Zidua only have activity on unemerged weeds. Dual II Magnum can be applied through the 3rd trifoliolate and Zidua can be applied on V1-V3 growth stages. Outlook can be applied on V1-V5 soybean and Warrant, can be applied through the R1 stage of soybean, although the optimal time of application is the V2 to V3 growth stage. These herbicides will not control emerged weeds, however, they may be tank mixed with glyphosate or glufosinate with the appropriate corresponding seed technology. Be sure to check herbicide labels for further information about restrictions and rates when applying products postemergence, and for any restrictions on additives, carriers and tank mix partners.